SAN DIEGO — Anglers can enjoy some of the best tuna fishing on the West Coast, win prizes and contribute to a good cause during the 24th annual Make-A-Wish Tuna Challenge, Aug, 23-25. Hosted by United Portuguese S.E.S. 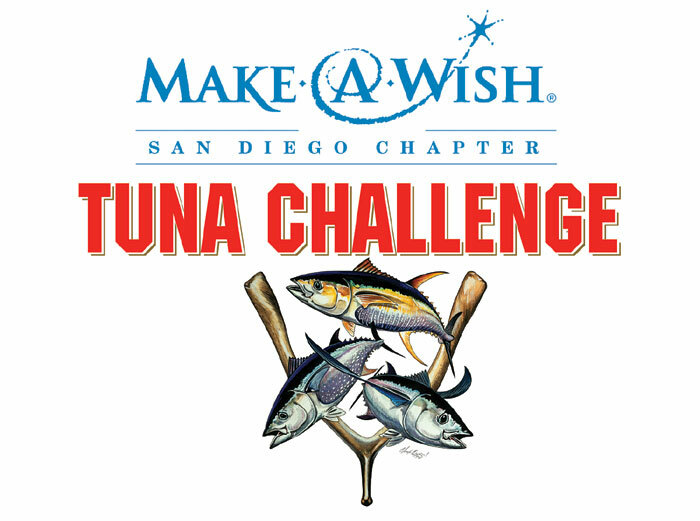 Inc. and presented by Jobsite Supply Co., the Tuna Challenge benefits Make-A-Wish San Diego, a charitable nonprofit organization whose purpose is to grant wishes to children with life-threatening medical conditions. Since its founding in 1991, the Tuna Challenge has raised more $2.9 million — and it is now the largest tuna fishing tournament in the continental United States. The main event begins at 5 a.m. Saturday, Aug. 24, when anglers can drop their first line. Weigh-in will be from 4-10 p.m. that day and from 7-9 a.m. Aug. 25 at the San Diego Marlin Club or Dana Landing Market and Fuel Dock in Mission Bay. Top angler awards will include multi-day fishing trips to Alaska and Mexico, fishing gear, boat equipment and more. On top of these prizes, all anglers and non-anglers are invited to participate in the Tuna Challenge Grand Raffle. The grand raffle prize is a 2013 Mazda3 i Touring Vehicle with SKYACTIV Technology, valued at $21,145. The prize is provided by local San Diego Mazda dealers, and it is a first for the Tuna Challenge. Angler fees include tickets to a banquet at the Portuguese Hall on Aug. 25, where tournament and raffle winners are announced, prizes are awarded and a lunch with adult beverages will be served. The banquet also includes silent and live auctions — and live entertainment. Entry fees are $75 for adults and $25 for juniors — and fees will increase after Aug. 1. The entry fee includes a tournament T-shirt and tickets to the banquet on Aug. 25. For more information or to register, visit tunachallenge.org. Pre-tournament activities include a Free Community Day event from 7:30 a.m.-8 p.m. July 27 at West Marine on Shelter Island. Attendees can enjoy free hot dogs, soda and balloons — and 5 percent of sales that day will be donated to the Make-A-Wish Foundation. A Pre-Tournament Seminar with local sportfishing experts is scheduled Aug. 1 at Dana Landing, at 2580 Ingraham St. in Mission Bay. It opens at 5 p.m., with dinner at 5:30 p.m. and the start of the seminar at 6:15 p.m. The event is designed to inform tournament anglers about the latest techniques, equipment and secrets for catching tuna in local waters. It is free, and all interested anglers are invited to attend. A casual dinner is available, with a small donation requested for Make-A-Wish. Everyone in attendance will receive a free raffle ticket for great fishing-related door prizes. Skippers looking for extra crewmembers and anglers looking for a boat can find what they’re looking for here, event organizers said. The seminar’s panel of experts will include Capt. Todd Mansur of The Boardroom sportfishing boat from Dana Wharf Sportfishing in Dana Point, Capt. Dave Hansen of Captain Dave’s Saltwater Guide Service, and representatives from fishdope.com.